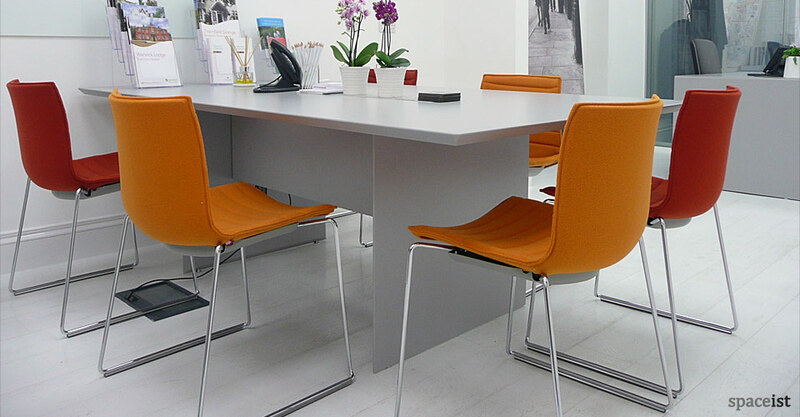 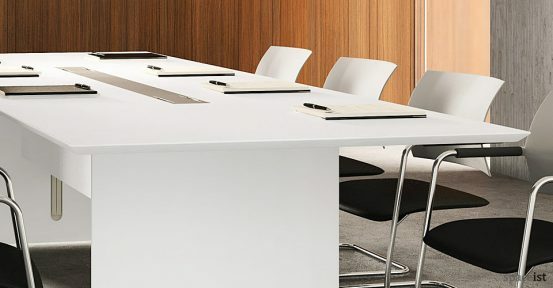 Categories: Meeting tables, Office ranges, School meeting tables, White meeting tables, Forty5 desk range, Meeting furniture. 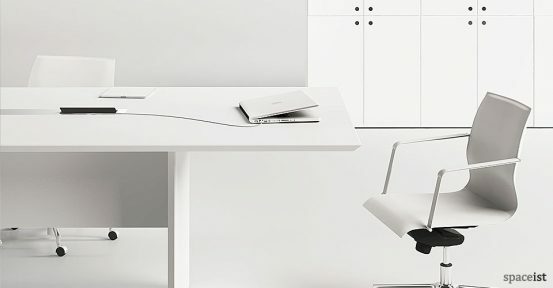 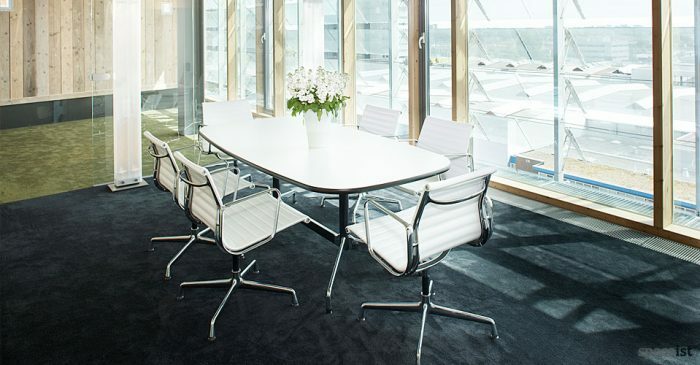 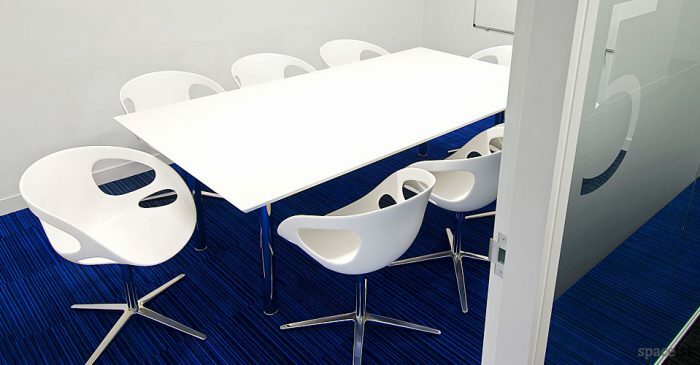 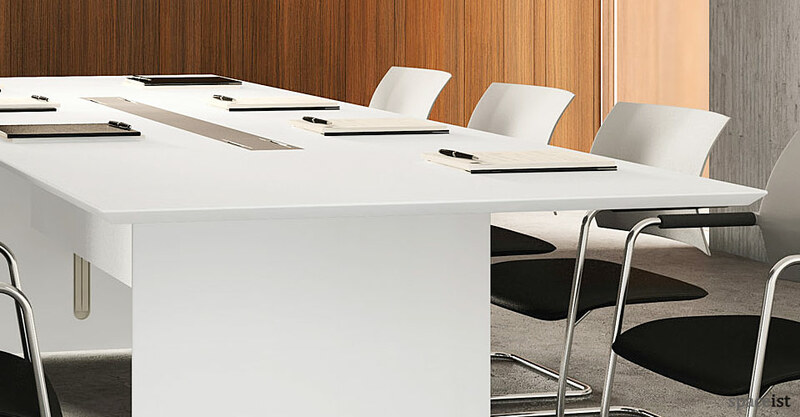 White meeting table with 45° edges. 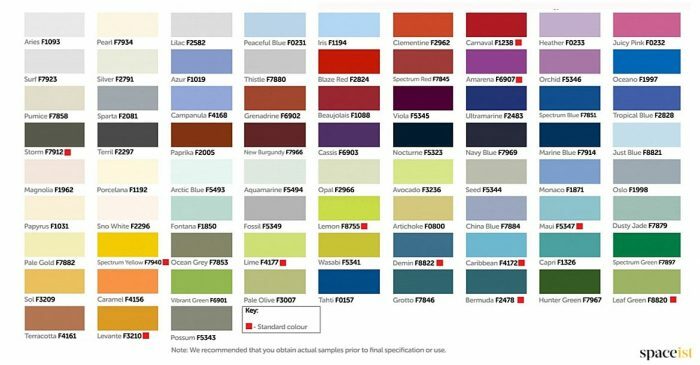 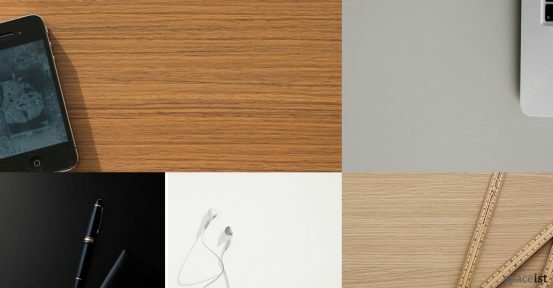 Hard wearing melamine finishes include white, black, grey or oak. 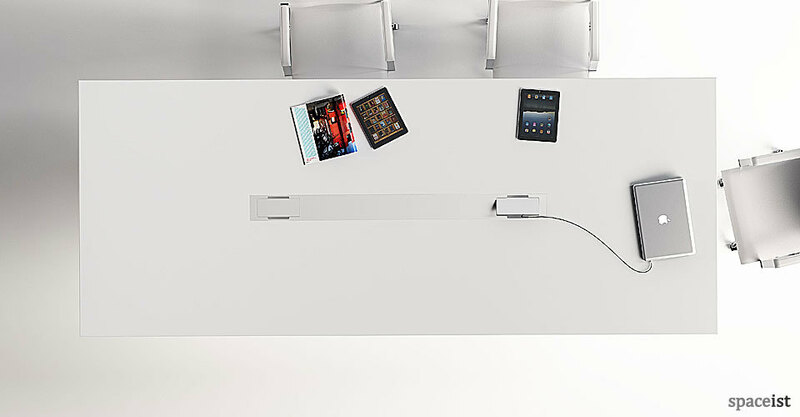 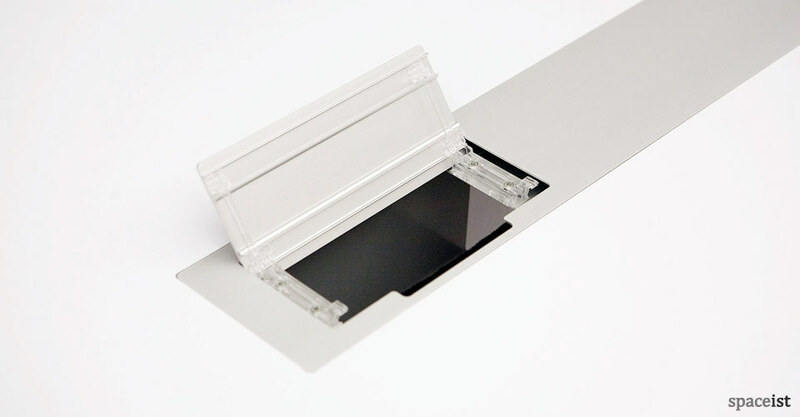 Comes with aluminium cable hatch and integrated cable management. Matching desk and storage units are available. 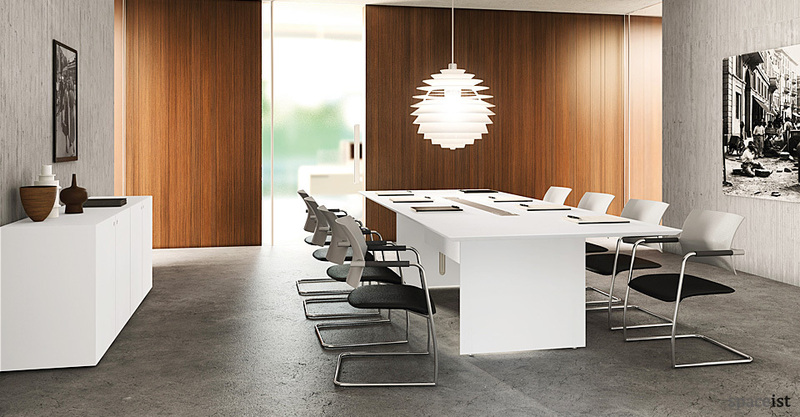 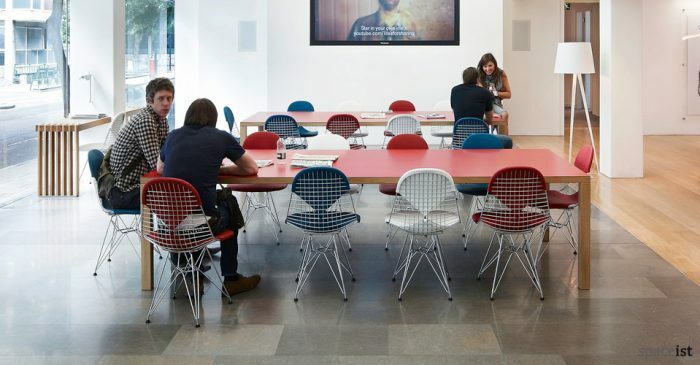 Shown with Vanilla cantilever chair. For more information please contact us. 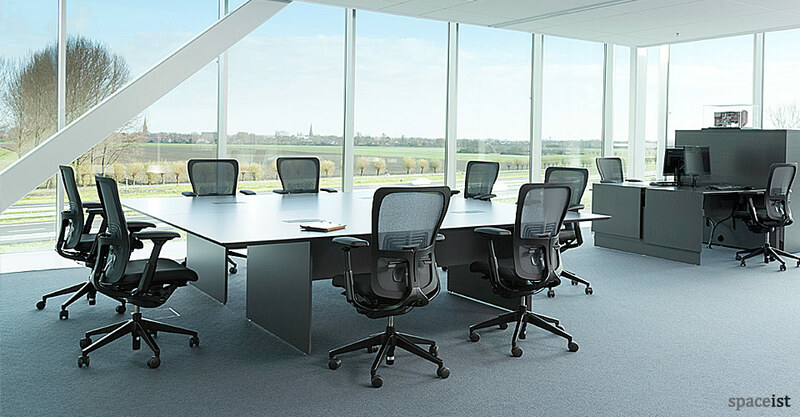 400 x 140 top comes in two pieces.